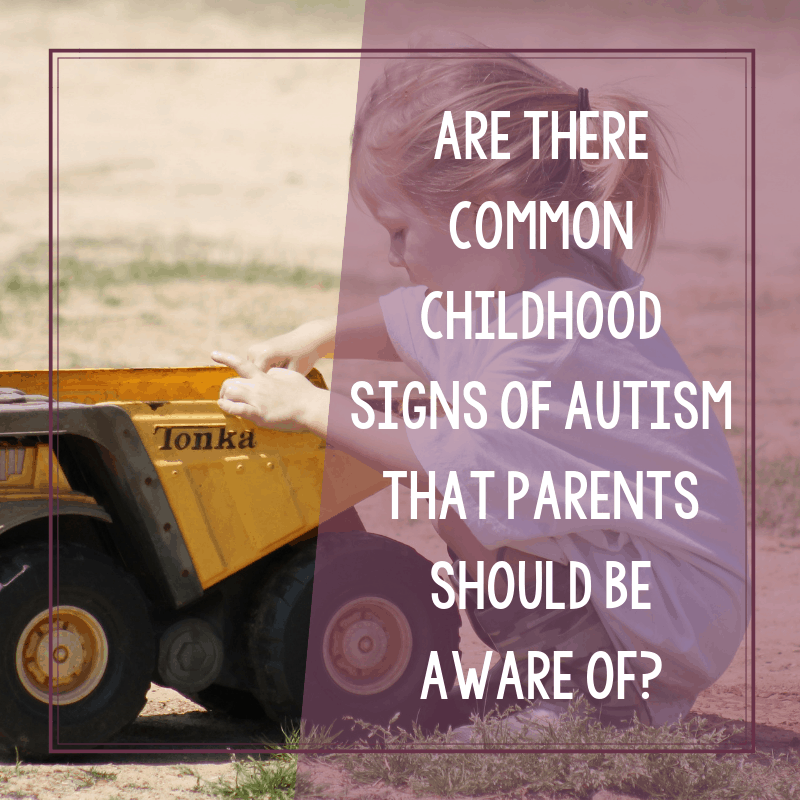 What are the Childhood Signs of Autism? 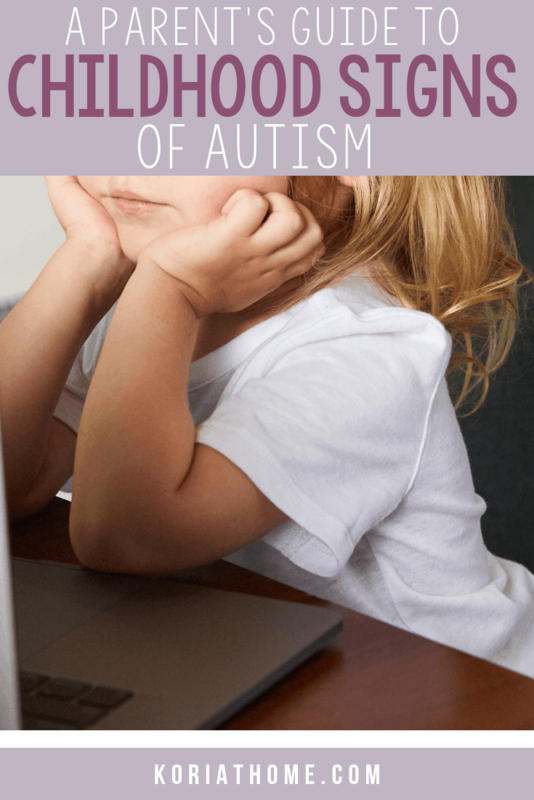 Autism spectrum disorder presents early in life and it is important for parents to know what the initial signs of autism are. There are many areas to to watch, including: communication, social skills, and other areas of development. Some may be more obvious than others. So how do parents really know? How can parents be fully prepared? 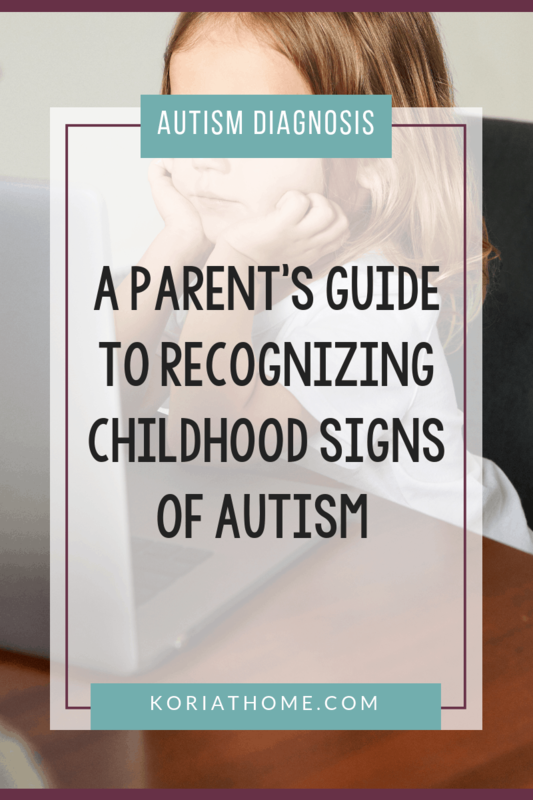 I’m sharing some tips on how to recognize some of the more common childhood signs of autism. Please note, however, this is not an extensive list. At present, there is no medical or genetic test available that is specific to autism. There are diagnostic evaluations and tests, depending on the part of the world that you live in. But the actual diagnosis is determined by assessments and observing the child’s behavior. Autism is a spectrum disorder and while there may be some similarities, no two children will ever be exactly alike. It’s just how it is with children in general, even in the same family. But again, it is important to keep in mind that not all children on the autism spectrum will have one of the above behaviors present. In my new autism diagnosis workbook, I am including a printable checklist of red flags, along with a sample timeline. Should I be concerned about these childhood signs of autism? Some parents have said that they felt something was just not quite right about their child from the beginning. Other parents may say that their child was developing typically and then suddenly started to regress. If you have any concerns about your child’s development, I would strongly encourage you to voice this to your child’s pediatrician. You, as a parent, are in the best position to see when something just isn’t quite right. Unsure of what to ask your child’s pediatrician? I have a printable list of questions in my new diagnosis workbook. Is it autism or is it something else? The only way to be certain if it’s autism or something else such as Sensory Processing or ADHD is to have your child evaluated. Even then, there could be several other comorbid or coexisting disorders such as OCD, anxiety, ADHD, and sensory difficulties.